Barrow Raiders have entered a dual registration partnership with Super League side Salford Red Devils. Raiders will be able to field Reds players in their remaining Championship games under the terms of the agreement in their bid to avoid relegation. "We cannot afford to buy the quality of player we need to secure a top nine finish," chairman David Sharpe said. "Dual registration allows us to do this, as a club we need to use every means available." 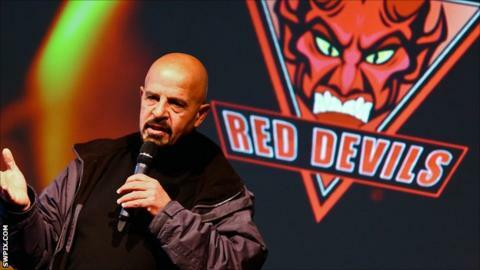 Salford already have an agreement with near neighbours Rochdale, who are currently a division below Raiders.